Reporters rove, so did Lord Byron, the 19th century English poet. In his famous poem about not doing more of it, Byron meant he would try to curb the roving he did under cover of darkness — “by the light of the moon” he said to prettify it. Like Byron, we plan on roving in the daytime, but not in the summer month of August. Click and read “So We’ll Go No More a Roving”. 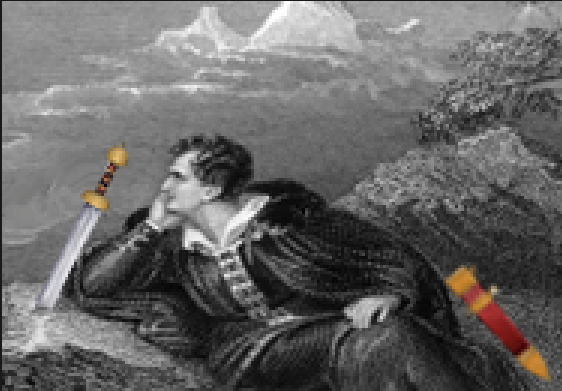 Byron, aged 29, was being ironical when he spoke of the sword outwearing its sheath. That wasn’t his sword. Actually, he wrote to a friend, it had been his sheath he’d been wearing out every evening. To stop, or at least pause, he set his resolution by the rollick of a song about a king dressed up as a beggar to seduce peasant girls; and a sea shanty about a sailor who couldn’t afford the cost of keeping a girl in port. When it came to girls and women, everybody knows Byron was — well, if not a serial liar, then a man who had a weaker grip on the truth than on any other part of the male anatomy he put in contact with females. That’s an ailment which the MeToo specialists don’t fully understand. So for your holiday rest I recommend an unusual book on the subject of lying; it’s a thriller, a comedy too. It’s about a man who from childhood was physiologically allergic to lies. When he heard people tell them, he went bright red in the face, had hot and cold flashes down his sides, and with pulse accelerating he was impelled to punch the liar’s lights out. The predicament this character faced in the book was that he had been convicted of murdering a business rival and sentenced to life in prison – all on the testimony in court of witnesses who were bribed by the rival’s widow to lie their heads off. The book, titled Settled Out of Court, was published by Henry Cecil in 1958. 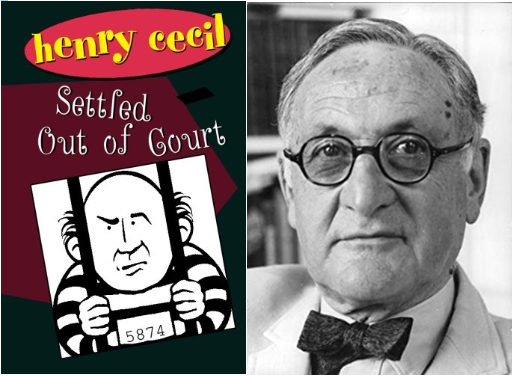 Cecil was the nom de plume – not exactly a lie – for an English county court judge whose real name was Henry Cecil Leon (pictured below right) . It would spoil your enjoyment of the book if I tell you how it ends. Besides, I’m not sure myself. There’s not much difference between roving and lying which the Russian business figures whom we investigate every day understand. For them roving is robbing; that’s taking assets belonging to others, including the state. Lying is naturally helpful to robbers before and after the crime; the roving reporter tries punching their lights out. The Russian politicians we also investigate – they want to lie, and at the same time be loved by their American enemies even more than by their Russian countrymen. Two hundred years after Byron complained he was wearing out his sword and sheath parts on women he told he loved but didn’t, the Russian leadership is wearing out its sensitive parts on Americans who hate them. There is no known psychology of wartime which explains why some people choose to collaborate, why some resist. Of course, money is known to help.